Just like good ideas don’t actually fall out of trees, creating an exceptional product isn’t simply a matter of handing an idea to a UX designer and an engineer to build – and saying Launch! As much as a strong team and the market opportunity are credited as the most important attributes of a successful product, each of these companies demonstrated the importance of their product strategies. Regardless of the great talent, money, and market each company had, they had a vision that allowed them to take their product to the next level, even in bad times. Your product strategy is the DNA of our business and defines how it will interact with customers and the market. It defines the why and what if that ensures your products and business are adaptable, effective, and strategically planned for changing conditions. If you’re worried because your company is only reacting – or worse yet, not acting on an existing strategy – then you’re like the two-thirds of executives who say their organizations don’t have the capabilities to support their strategy. Very few business leaders are comfortable planning a strategy that includes how to fail well and what to do if you are in the wrong market. And even fewer have people on staff who are comfortable executing it. These strategies are not often taught in MBA programs because at their core is the assumption that businesses make a lot of mistakes, especially in their initial launch. All business leaders make a lot of assumptions about their customer, their market, and how they will adopt the product. Your ability to become one of the business leaders to integrate a scientific and design thinking approach to your product strategy will transform you from ‘yet-another-copycat' into a market champion. As Vancouver-based Digital Innovation Studio PH1 Media we use an organic approach to creating a product strategy, one that is adaptable to any scenario. Organic because every idea, product, and business is like a seed that grows very differently depending on the environment. Understanding that ecology will save many businesses from failed product launches because it quickly identifies factors that are roadblocks to success. Thats why thinking like a gardener is more important than thinking like an engineer. They understand that the quality of soil, amount of sun, and various other factors are limiting a seed from growing. While Design Thinking, Systems Thinking, psychology of Game Design, Agile Methodology, are the language blocks of our toolkit, nurturing the seed of an idea into an effective product requires a new way of looking at building a vision. The idea is the seed of the product and can be made up of the greatest DNA and still fail without the ideal conditions, climate, adaptability to change. A perfect seed will have just as hard of a time growing in terrible soil conditions as a great idea would when the market isn’t ready for it. As much as business leaders often envision themselves to have no direct competition, any plants that challenge you for the same soil, water, light will undermine and alter your growth. Executives crave predictability and when it comes to weather and consumers, they generally follow trends and averages. To stay competitive firms must be prepared for climate change and customer behavioural changes by being more aware of macro systemic conditions. There is no shortcut aside from throwing fertilizer or money at the growth problem. But also beware – just like too much fertilizer is toxic, so is too much capital. A healthy root system ensures a tree will grow, survive, regenerate. An organization’s corporate vision and mission will do the same and be the greatest indicator of how far an idea will go. That system’s strength and durability is exemplified by the tech stack and DevOps culture in place. The trunk of the tree pumps all the nutrients across the entire system. As much as we strive for diversified product lines, there is always a single, dominant core product or feature that is the lifeblood. 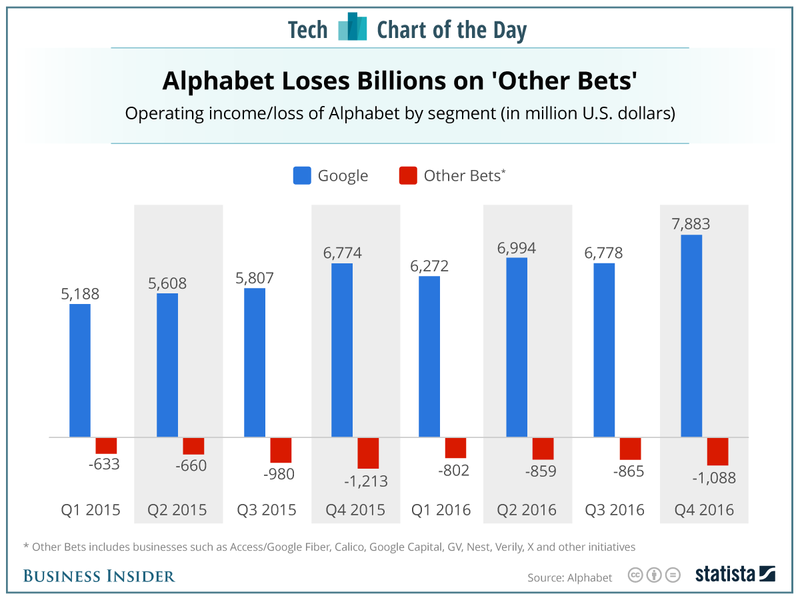 In the case of Alphabet (Google’s parent company) their innovative pursuits have all been paid for by their ad unit. Branches exist to allow a tree to diversify and optimize the amount of daylight that is being converted to nutrients; for companies like Alphabet these secondary bets and channels ensure the primary unit can continue to grow regardless of changing conditions. Similarly Amazon is branching in countless retail areas to expand market share. Product isn’t much different than marketing or copy writing, often times you simply don’t get the reaction you were hoping for. Some things just flop. It might be a feature that was buggy, an element from an A/B test that didn’t work out, or a new layout. All of this work can be re-used and composted in other areas to fuel new opportunities. Google is an expert in this area. Their dead project list includes Google+, Google Wave, Google Glass and many more. Most of those fuelled new areas of growth for the company once composted. Every product will face a crisis, a moment when failure is imminent, Your strategy must have a plan for these scenarios and often it means either rationing of resources or killing off weaker features so the core may survive. Building this ecosystem would typically be done through in-person facilitated meetings, combined with market/user research to ensure that the true elements are identified. We help business leaders identify which market systems and customer behaviours are creating the biggest roadblocks and which may become the greatest factors of success. Next week I’ll show how we apply this to a typical startup roadmap to create situational strategies. Does your organization have a strategy for how your product should grow, one that goes beyond the roadmap? Where do you often see your strategy failing the meet the changing market conditions? Have you found that adaptive product strategies like described above match the always-evolving realities of your industry now that customers and technologies change faster then ever? Arpy Dragffy is a Digital Product Strategist and Innovation Consultant in Vancouver, Canada. As President of PH1 Media he leads innovation workshops and designs products and strategies for businesses who want to future-proof their relationships with customers.